Pursuant to Florida state law, you may cancel this agreement up to midnight of the 3rd business day after signing this agreement. Cancellation requests must be made in writing or by phone, we accept cancellations by email: support@firstusadata.com, by fax: 800-341-8684, or by calling our Customer Service Number: 855-598-5554. Our office hours are 9am-8pm Monday through Friday. FirstUSA gives the Client 3-business days in which to cancel this agreement and obtain a full refund, the 3 business days will begin the day of signing this agreement. If the Client cancels after the 3-business days, they must fill out a refund request form to open a refund investigation on their behalf. This investigation will provide an accounting of all allocations of related resources and how funds have been spent on their behalf. The refund process takes approximately 10 business days to complete and the client will be notified in writing by US mail. Please contact FirstUSA at 855-598-5554 to receive a refund request form. FirstUSA provides this form by U.S. Mail. The Client is not obligated to pay any monies unless this agreement is signed and returned to FirstUSA Business Development, INC. Your agreement stipulates that your “Initial Amount Due” is non-refundable. We allocated our human resources to properly handle all clients. Once we accept you into the system, the allocation of work to be performed according to the agreement signed, this prohibits us from accepting other potential clients to fill that allocation given to you. The Initial Payment at the point of cancellation, after the three (3) business days is met, offsets losses caused by your cancellation that we would normally not incur. If you wish to terminate this Agreement, you must notify FirstUSA in writing and/or by e-mail. Upon termination, all provisions of this Agreement shall survive termination, including, without limitation, ownership provisions, warranty disclaimers, indemnity and limitations of liability. FirstUSA may terminate this Agreement with notice and may terminate any Service at any time for any reason, including but not limited to: (i) Client’s breach or anticipated breach of this Agreement; (ii) Client’s use or suspected use of any of the Services in any manner inconsistent with this Agreement or FirstUSA’s policies; (iii) Client’s providing false, inaccurate, outdated, or unverifiable identification information, credit information, or other data or information in connection with the purchase or use of the Services; (iv) Client’s interference or failure to cooperate with FirstUSA, operations or provision of Services. Additional Annual & Monthly Charges May Apply! I​f ​FirstUSA build​s​ the Client a new Website​ and/or Landing Page, ​the Client will need to ​purchase one URL(s) for​ ​each Website ​and ​or Landing Page​.​ ​FirstUSA can use the same URL for both the new Website and Landing Page if they are related. ​The cost for the URL is​ $12.95 and an optional $7.00 for privacy protection. Hosting is $14.95 per month. Hosting for your new Website or Landing Page​ ​is free during the development phase. ​The Client agrees to use FirstUSA as their Hosting provider for their Website and or Landing page and this service can be cancelled with 30 day written notice. Client’s failure to make any payment as it becomes due constitutes a material breach of this Agreement. This breach permits FirstUSA, at its sole discretion, to terminate providing Services and/or charge and collect late payment and collection charges, including collection agency fees, up to the highest rate and amount permissible by law, except as provided in the Termination section below. Client agrees to remain liable for all amounts owed, including but not limited to fees, charges, taxes, late fees, and collection costs, notwithstanding termination of Services. Client acknowledges and agrees that the Services are provided on an “as is” and “as available” basis without any representation or warranty, expressed or implied. FirstUSA does not warrant that the Services will meet the Client’s requirements or that the Services will be uninterrupted or error-free. FirstUSA does not represent or guarantee any increased sales, revenues, profits, or success due to the Services provided to Client. FirstUSA also does not guarantee any particular search engine ranking, traffic, and/or placement in any search engines. In no event will FirstUSA, its suppliers, licensors, or any individuals associated with those entities, be liable with respect to any subject matter of this agreement under any contract. FirstUSA shall have no liability for any failure or delay due to matters beyond their reasonable control. The foregoing shall not apply to the extent prohibited by applicable law. Client expressly releases FirstUSA from any liability for any content, act or omission of any third party. 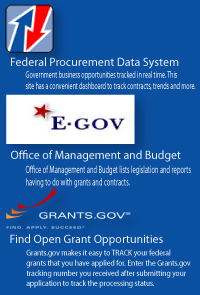 The Services provided by FirstUSA to Client may include materials from third parties or links to third party websites. The inclusion of these materials and links: (i) are not an endorsement by FirstUSA of these third parties, their products or websites; (ii) are not an acknowledgement of any relationship with such third parties; or (iii) a warranty or representation of any kind regarding such third parties, their products, or their websites. Client shall not use the Services or refer, or encourage others to refer, to FirstUSA, its customers, owners, officers, directors, personnel, agents, representatives or affiliates on any manner that is illegal, fraudulent, threatening, abusive, defamatory, obscene, or that could cause damage or adversely affect its customers, reputation, business, property, services or products in any manner. From time to time governments enact laws and levy taxes and tariffs affecting internet electronic commerce. Client agrees that the Client is solely responsible for complying with such laws, taxes, and tariffs, and will hold harmless, protect, and defend FirstUSA and its subcontractors from any claim, suit, penalty, tax, or tariff arising from the Client’s exercise of internet electronic commerce. In the event a dispute should arise between the parties to this Agreement, it is hereby agreed that the sole means of resolving the dispute shall be through binding arbitration at Judicial Dispute Resolution (JDR) in Clearwater, Florida or at an alternate service agreed to by the parties for arbitration in accordance with the American Arbitration Association’s “Commercial Arbitration Rules”. The arbitrator’s decision shall be final and legally binding and judgment may be entered thereon. Each party shall be responsible for its share of the arbitration fees in accordance with the applicable Commercial Arbitration Rules. Regardless of the place of signing of this Agreement the parties agree that for purposes of venue, this agreement was entered into in Pinellas County, Florida, and any dispute will be litigated or arbitrated in Pinellas County, Florida, applying the laws of the State of Florida. THE PARTIES AGREE TO WAIVE ANY RIGHT TO PURSUE DISPUTES ON A CLASSWIDE, REPRESENTATIVE OR CONSOLIDATED BASIS, TO THE EXTENT ALLOWED BY LAW. THIS SECTION APPLIES TO ANY LAWSUIT, ARBITRATION OR OTHER PROCEEDING BETWEEN THE PARTIES. THE CLIENT AGREES TO CONTACT FIRSTUSA WITHIN ONE (1) YEAR OF THE EFFECTIVE DATE REGARDING ANY CLAIM OR DISPUTE RELATED TO THIS AGREEMENT OR THE SERVICES. IF THE CLIENT DOES NOT NOTIFY FIRSTUSA OF SUCH CLAIM OR DISPUTE WITHIN ONE (1) YEAR OF THE EFFECTIVE DATE, THEN THE CLIENT AGREES TO WAIVE THE RIGHT TO PURSUE SUCH CLAIMS AND/OR DISPUTES. If any provision of this AGREEMENT should be unlawful, void, or for any reason unenforceable, then that provision shall be deemed severable from this AGREEMENT and shall not affect the validity and enforceability of any remaining provisions. The Work Order, Invoice, Quote, Terms & Conditions and Refund Policy constitute the sole agreement between Client and FirstUSA regarding the subject of this Agreement. You will see a charge from fusa-cc.com on your bank statement.